Since the end of August we are crusing with the van through France and Spain. So far everything works fine. In Spain it is hard to find fast charging spots though. 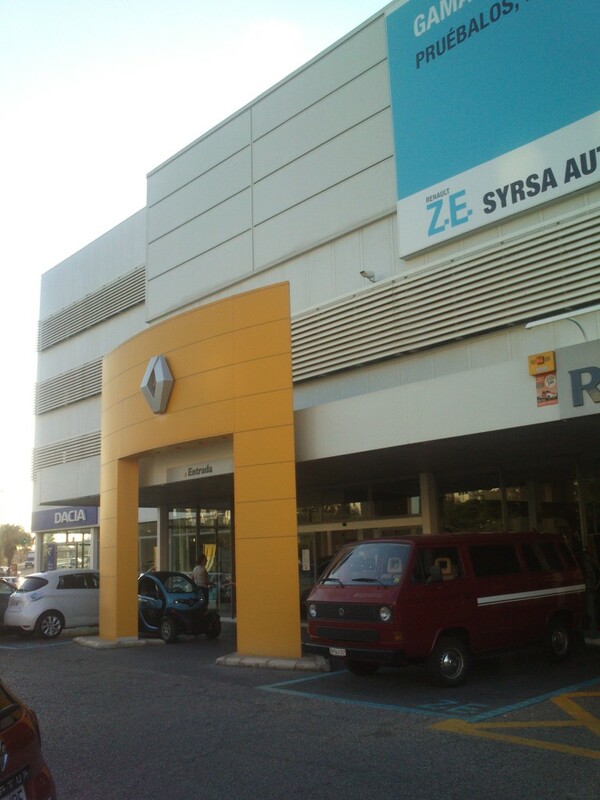 The best options are Renault Z.E. spots which can be found in bigger cities. But it needs a lot of discussion before one is actually allowed to plug in! 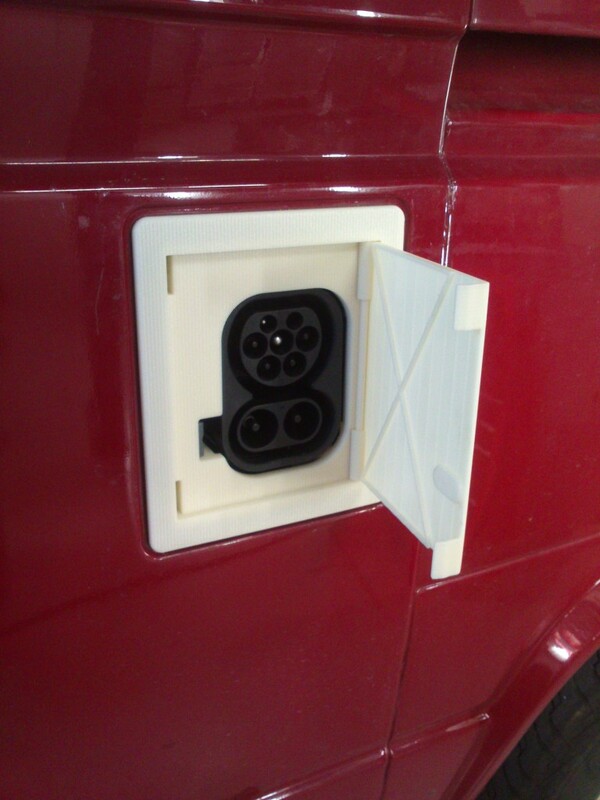 But if you are not in a hurry, every camping provides you with a charging socket of 230V, 6-12A. 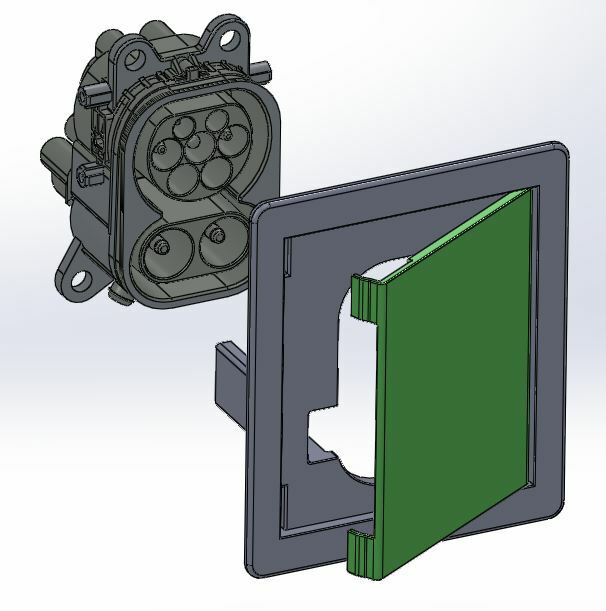 As mentioned before we planned to charge our T3 with a Type 2 CCS (combined charging system) inlet. 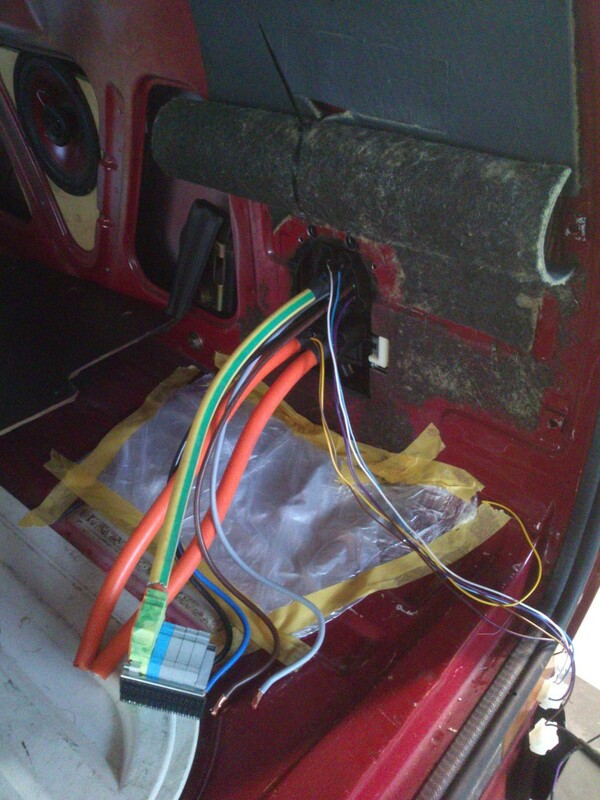 So far we just charged the van through an industrial plug of type CEE32 400V, which was ‘hanging out’ of the back of the car somewhere… It was very inconvenient to plug in and out and it was only a temporary solution. 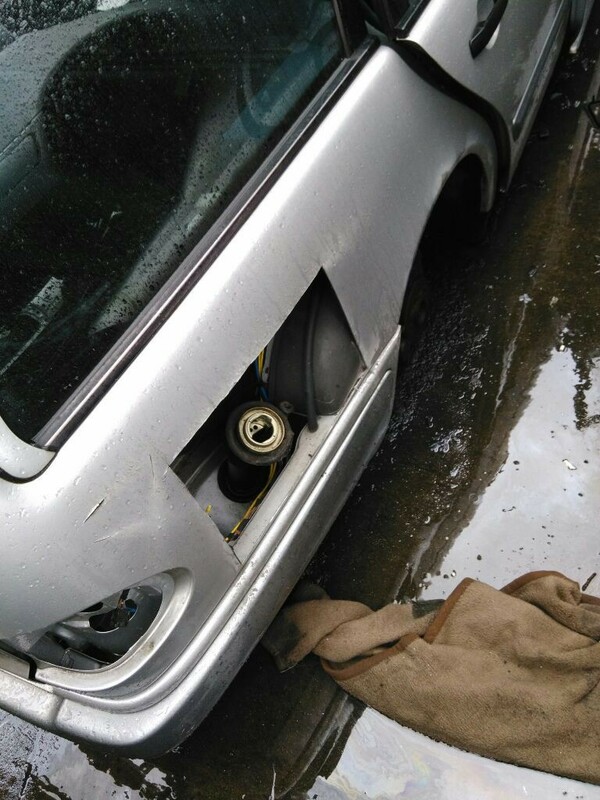 Hence I had to create a mechanical fixture somewhere in the car and also design a cover which would protect the inlet from rain and dirt. After trying out some options (Marc event went to cut out some gas inlet lids of old cars), I decided to use the original gasoline inlet. There it was possible to have a very nice integration and to prevent the original look and feel of the Volkswagen design. 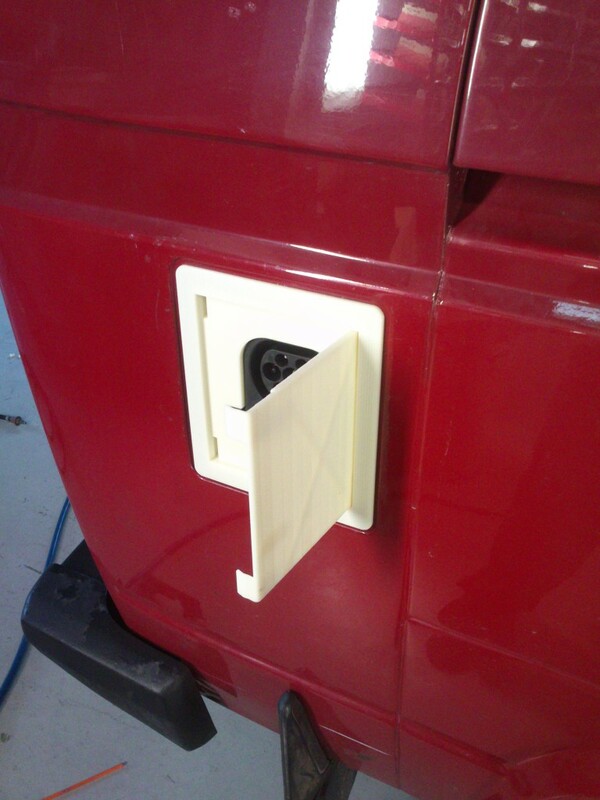 A door-like piece was drawn in CAD which was then printed by a friend on the 3D printer with ABS plastic. The whole thing was printed in one piece and it can not be disassembled. It was designed that we could integrate a push-to-open thing from a kitchen cupboard. NEW TIRES AND NEW INLET! 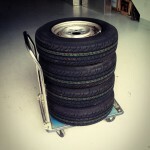 Marc organised new tires which were kindly given to us from Continental and also a Type 2 Combined Charging inlet we got from Phoenix Contact. 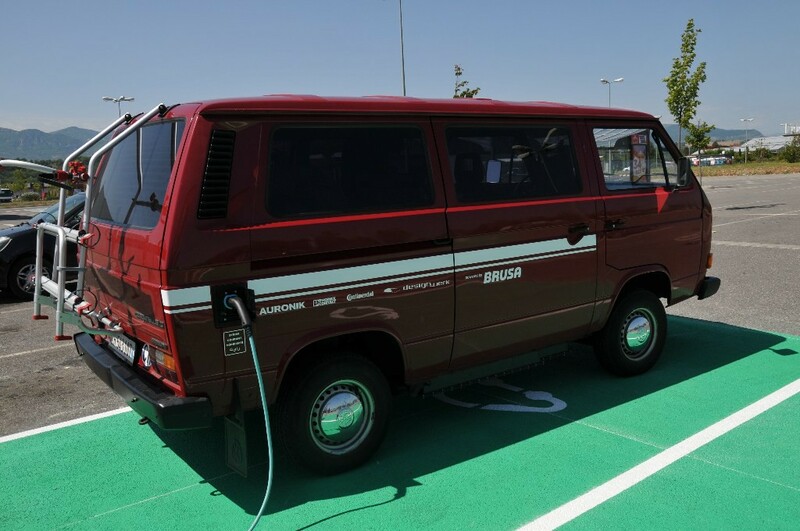 It had to be a special version, because no cars yet exist on the market which carry a 22kW on-board charged AND are able to perform DC charging by DIN70121. From the company Auronik we got a control board EVAcharge which will do the powerline communication to the EVSE when DC charging. For now, the DC charging is not implemented yet, but everything is prepared. Looooong time no see! Well, a lot of things happened in the meantime, sorry for not keeping you up to date. 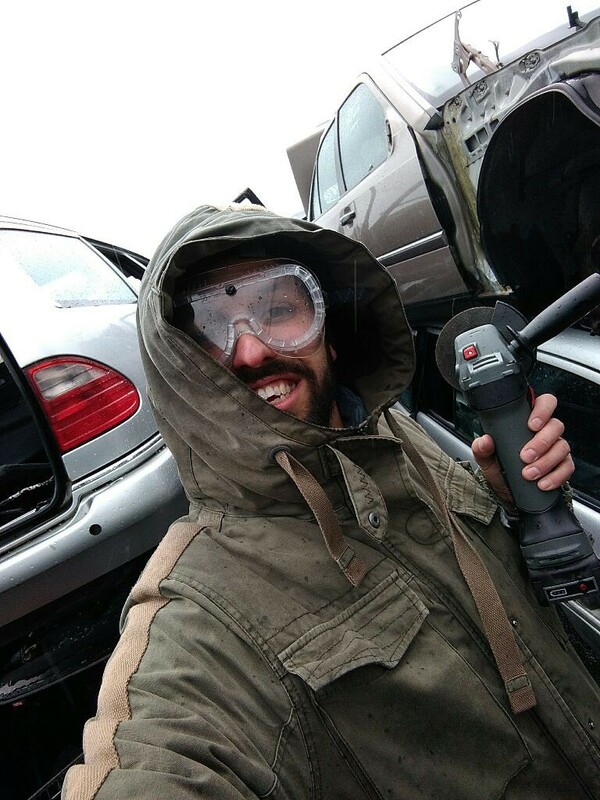 In April, the last works were completed and in May we had to present our work to the vehicle inspection guys to get a license plate and the official permission to cruise on the streets. Luckily the guys at the office were not very much interested in the whole electrification thing, so the check was completed in about half an hour. We just had to demonstrate things like working windshield wipers and correct speed display in the dashboard! Ah and there was this discussion about the motor power. It is a bit difficult with electric motors, because they have a nominal power and a peak power rating. The peak power is what they can deliver for a short time, e.g. up to maybe 30s, before the thermal limits are reached. As originally our van had 54kW, it was just allowed to get an increase of maximum 10%, which would be 59.4kW. The nominal power of the motor is 57kW which suits just fine. And because the original gearbox is said to be not very robust, we also limited the peak power of the drive to about this value. One thing though is a bit a pity: The empty weight of the car increased to 2100kg due to the electrification. This means it is now only a 5 seater. From then on I could go officially on test rides on the roads and make a lot of tuning of the control software. There were things to adjust like ramping of torque commands, sequence of turning on and off of the different devices when driving. 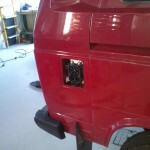 But by far the most work was to setup the proper communication between charger and battery management. The big issue here was to figure out the best way the two devices should work with eachother. But with some trying and testing I found a well-working solution.